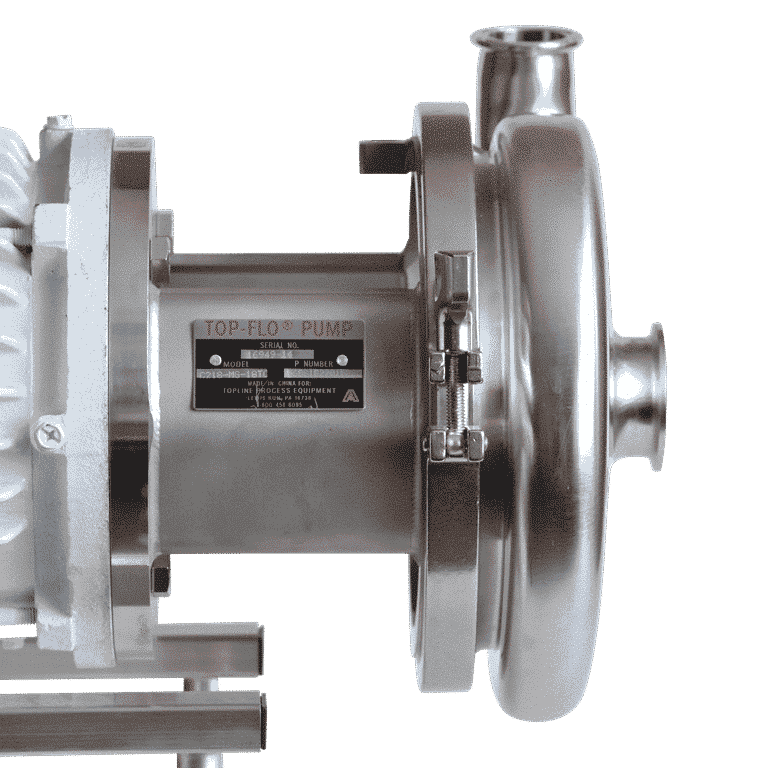 The TF-C218 centrifugal pump is ideal for use in small and medium size process applications in the dairy, food, beverage, pharmaceutical and other sanitary process industries. 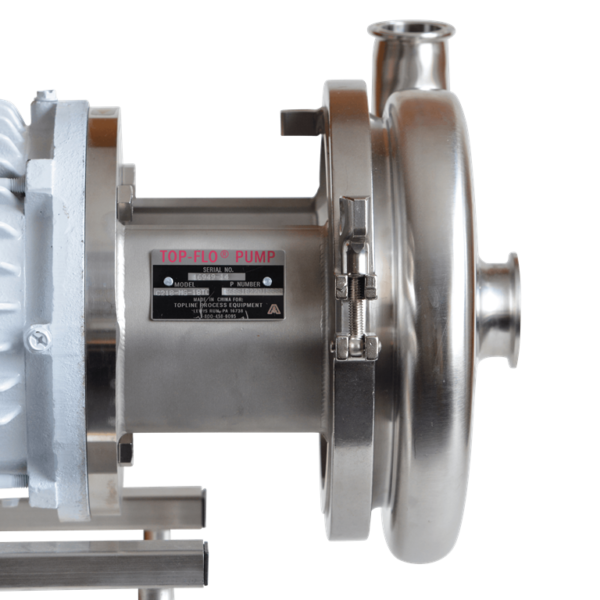 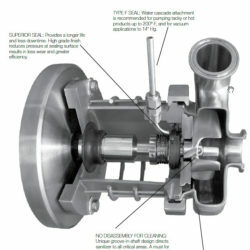 TOP-FLO® pumps are suitable for use in CIP (clean-in-place) installations. 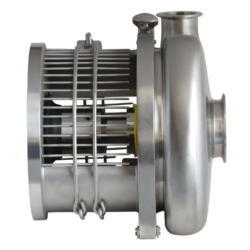 This feature enables easy self-cleaning with no dismantling or take-down. 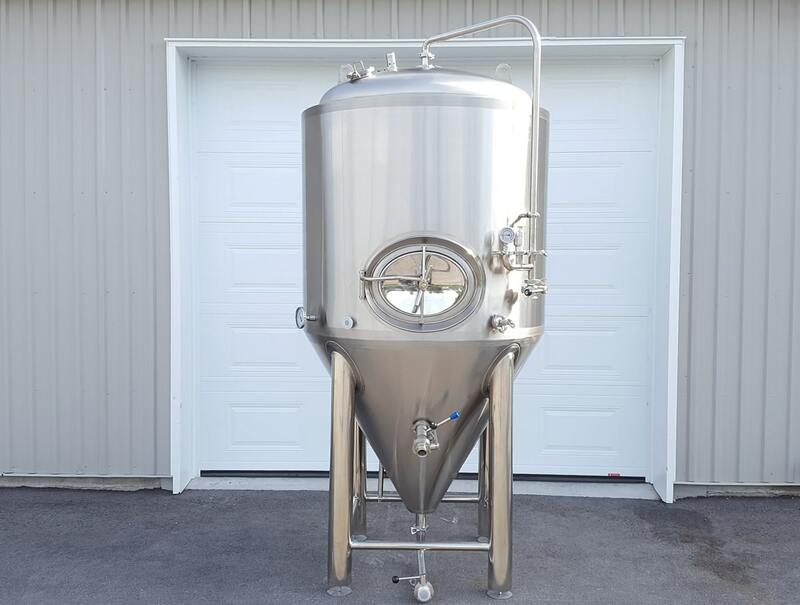 Sanitizing of all product contact areas is automatic.